We got twenty inches of snow. Twenty. Inches. Unbelievable. Paul spent the day building an igloo. I shoveled out the edge of the driveway and around the mailbox. Igloos are pretty cool. I've never had an igloo before. I bet igloos aren't nearly as much work to clean as a house. So, if you need me, I'll be in our igloo. Probably not much left of that igloo after this weekend. This is way cool! What a fun idea! No way, that is so cool!!!! With all that snow, you might as well have fun with it! :) I'll bet it was cozy in there! Igloos are not easy to build! Kudos to Paul. But does it have Wi-fi? I have never seen one like that - your hubs did a great job! Oh how fun. Love the pictures. WE did not get near that much snow.. but if we had I can bet my kids would have built an igloo as well. that is awesome! I hear they are warm and cozy. I'll stick to the brick and mortar though! Very cool that you did this! Dit is wel heel mooi. Lots of snow, but then, who has an igloo in their yard? Quite cool. That is a big igloo! He did a great job. I bet the boys loved it. 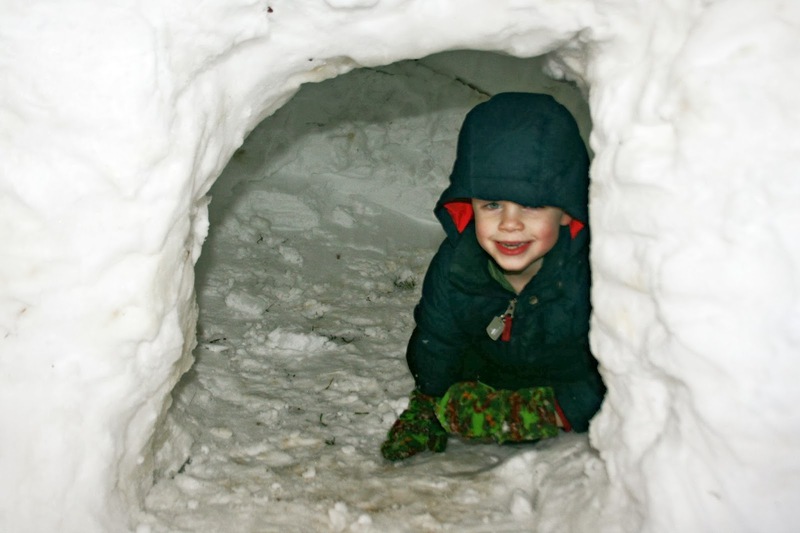 Cet enfant( magnifique) se souviendra de cet igloo toute sa vie. Bravo pour le constructeur ! Holy cow! 20 inches of snow?! Oh my goodness. But that igloo is awesome! I've never had an igloo before. Awesome igloo! Glad you uncovered your mail box. . Our mail box got taken out by a snow plow twice this winter. That's so cool! I want an igloo! That is very cool! I bet the boys loved it! That is a nice igloo! How cool! I've never been in an igloo, either. Is it cold in there? Isn't there something about how the snow creates insulation somehow? That part has always confused me! What a fantastic snowy abode! Thank you so very much for visiting Decor To Adore~ Mildred's My Favorite 5 post. Happy Days!! We love the igloo! That IS an awesome job. We managed as kids to build "forts" and have snowball fights. Surprisingly, the forts held up pretty well! This looks fun!! How cool! This is something the kids will remember for a long time. That is the coolest igloo I've ever seen!! What a fun place for little kids and big kids like us! WOW! How cool is that!!? I bet the boys just loved it! 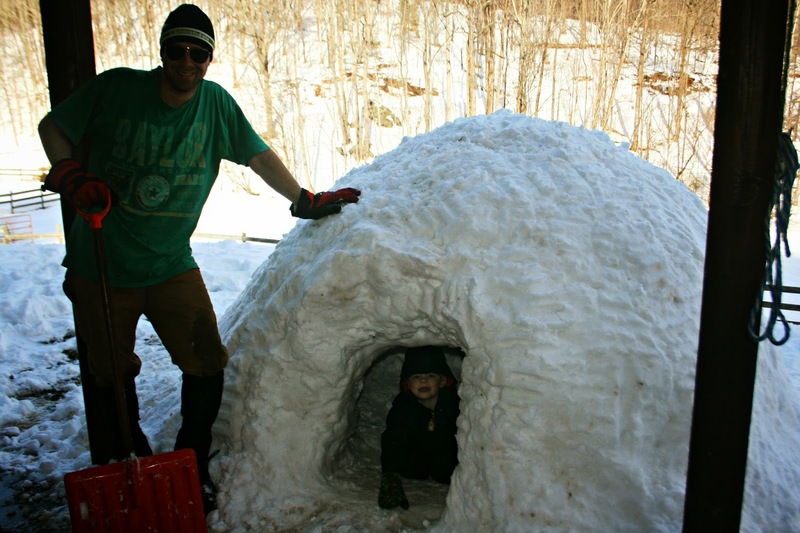 Wow, I've never actually seen someone make an igloo before (outside of all the photos about Alaska!),... how wonderful for your boys!